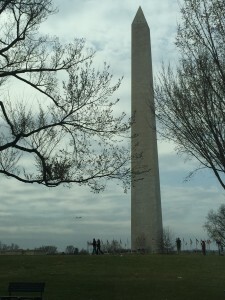 The Washington Monument – Photo taken during the 2015 AppCon. At Thinkamingo, we spend most of our time producing useful apps that spark creativity. We help our customers tell stories with apps like Lists for Writers and Story Dice. We also want educators and families to feel confident using our apps and know about our commitment to transparency and data privacy. However, as we continue to grow and provide the best products possible to our customers, there are important conversations happening in our nation’s capital that could have a significant impact on the tech industry. As policymakers consider action around critical issues including data security and encryption, government access to digital information, and the expansion of computer science education, they must understand the perspective of small tech companies. In all of these cases, federal laws could change how Thinkamingo does what we do best – building apps for education. That’s why I’m heading to Washington, D.C., April 17-19 for ACT | The App Association’s App Economy Conference. There, I’ll join tech executives from across the country to network, learn, and engage elected officials on the most pressing issues facing the internet economy today. This will be my fourth year attending the App Economy Conference (formerly known as the ACT Fly-In.) I think it’s important to participate year after year because business is all about building relationships and that takes time. Over the years, I’ve met many different people including the Federal Trade Commission, the White House Office of Science and Technology, and Florida congressional offices including Sen. Marco Rubio, Sen. Bill Nelson, and Rep. Gus Bilirakis. I’m eager to tell the Thinkamingo story and educate Washington about how decisions on the Hill impact the future of small tech companies like mine. I know from experience these decision makers appreciate hearing from constituents directly and engaging in an ongoing conversation about issues that directly impact us. You can follow me as I talk tech on The Hill next week on Twitter (@thinkamingo and @tampamom) and by following #AppCon16.